Kenya’s biggest electricity generator, has bagged a Sh7.6 billion ($760 million) contract to drill geothermal wells in Ethiopia. 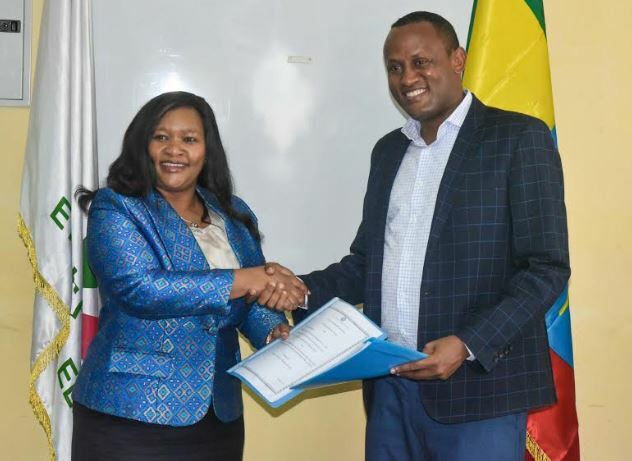 KenGen CEO Rebecca Miano signed the contract with her Ethiopian Electric Power (EEP) counterpart Abraham Belay last weekend. Kenya is a powerhouse when it comes to renewable energy and currently has a geothermal installed capacity of 685MW. Kenya is set to pocket billions in a power deal with Ethiopia that will see the most populous East African nation end a 38-year wait for a commercial breakthrough in geothermal development. KenGen, Kenya’s biggest electricity generator, has bagged a Sh7.6 billion ($760 million) contract to drill geothermal wells in Ethiopia in a joint bid with Chinese company Shandong Kerui Group. “We are delighted to announce that our diversification strategy is finally paying dividends. 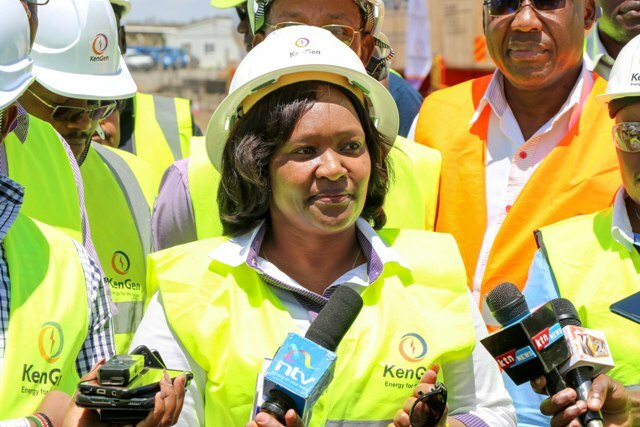 This is good news for KenGen, our shareholders and indeed for Kenya as a country,” she said. Dr Belay welcomed the move saying that EEP’s geothermal drilling rigs are currently idle and broken down hence the need to purchase new ones. “We will be delighted to have you (KenGen) build the capacity of our people to manage the equipment and run the power plants even after you exit the sites,” said Dr Belay. The power deal with EEP would greatly boost the Nairobi Securities Exchange-listed Kenya Electricity Generating Company’s (KenGen) revenue streams. On Monday, Ms Miano said the deal would also help to deepen KenGen’s revenue diversification strategy. “As we extend our services to Ethiopia, we are leveraging on our expertise, in-depth knowledge of the African Rift Valley and close to four decades of successful drilling experience,” she said. The project, which is financed by the World Bank through a $76.8 million (Sh7.6 billion) loan to the Ethiopian government, involves drilling as well as rig operation and maintenance of geothermal wells at Aluto, Ethiopia. Ethiopia has abundant renewable energy resources and has the potential to generate over 60,000 megawatts (MW) of electric power from hydroelectric, wind, solar and geothermal sources. However, despite its huge energy potential, the country is experiencing energy shortages as it struggles to serve a population of over 100 million people and meet growing electricity demand which is forecast to grow by approximately 30% per year. 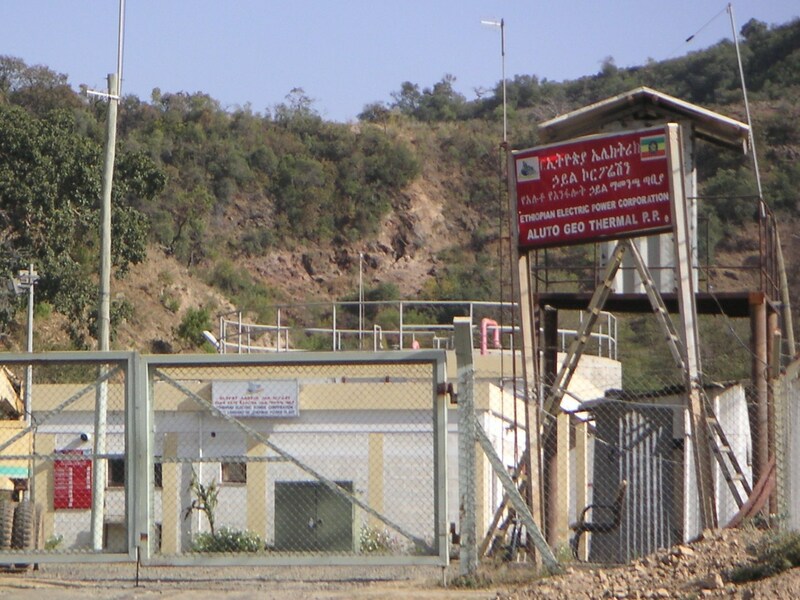 Entrance to the Ethiopian Electric Power Corporation Aluto Langano Geothermal plant. EEP’s geothermal drill deal will be implemented in two phases with KenGen supplying about 30 per cent of the component of phase II, which translates to about $6.2 million (Sh620 million). In recent years, the Nairobi Securities Exchange-listed company has been focusing on offering expert services in electricity generation, geothermal development consulting, power plant operation and maintenance services across Africa. Kenya is a powerhouse when it comes to renewable energy and currently has a geothermal installed capacity of 685MW with an estimated potential of 10,000MW along the Rift Valley. In 2018, the country was ranked number one in Africa in geothermal energy production and ninth in the world by the Renewables Global Status 2018. 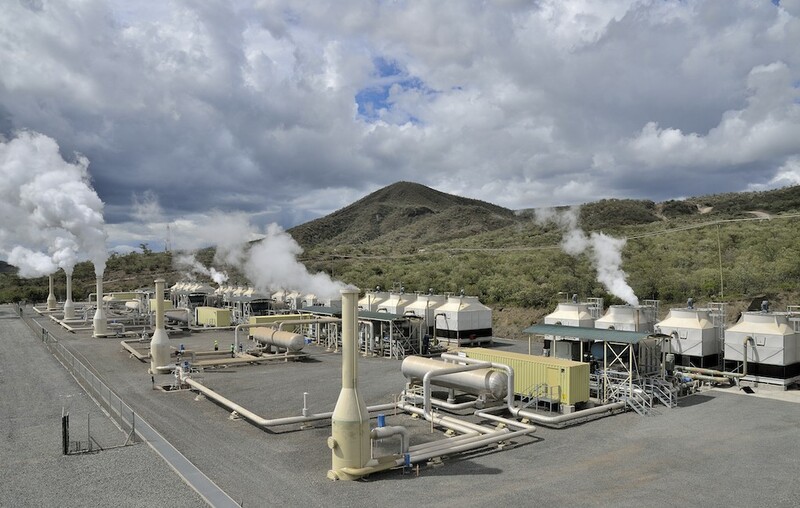 In Kenya, KenGen runs several geothermal stations, with Olkaria I power station being the first geothermal power plant in Africa. The first unit of the 45 megawatts (MW) plant was commissioned in June 1981, the second and third units in November 1982 and March 1985, respectively.